I stayed at the Zeavola Resort in Phi Phi Island and the food there was AMAZING. Each morning they had a huge spread of all sorts of foods. From hot plates filled with noodles, rices and meats to a stand dedicated only to fresh fruits; they had it all. All the food was prepared fresh, and the quality of the fruits, vegetables, breads and meats were top. At night their outdoor restaurant on the beach opened. 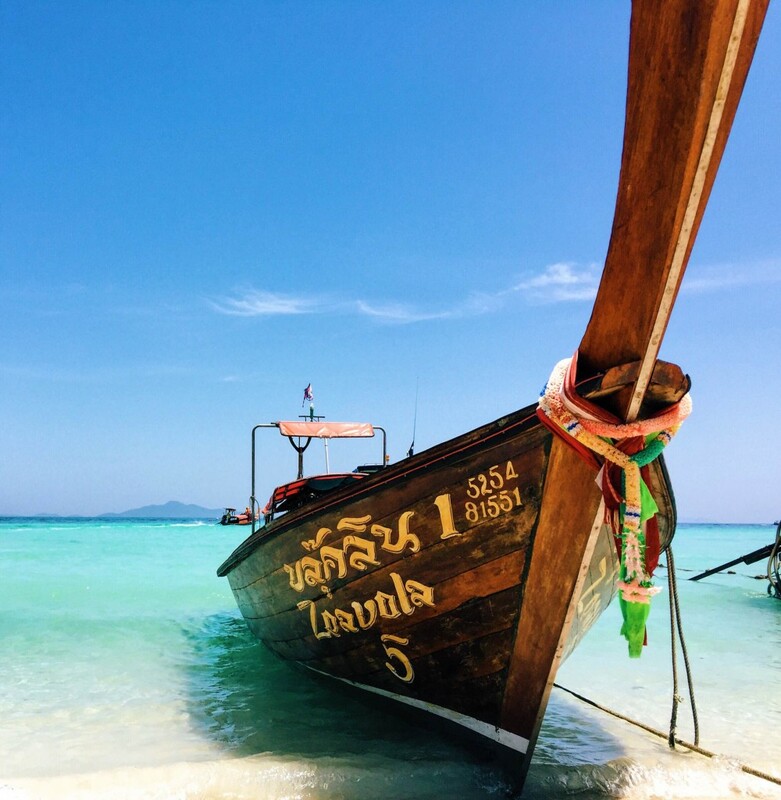 Here you could enjoy some of the best Thai curries I have ever had all why taking in the the sound of the ocean and the feel of sand between your toes. Even though the resort was beautiful (and hard to leave at times) I booked a day long island tour to explore a little. The tour lasted about 6 hours and we visited the near by islands via speed boat. The scenic boat ride was breathtaking, and the islands differed so much from one to the other. One Island would be mostly jungle and inhabited by monkeys and the one next to it would be mostly powder white sand. Snorkeling is a must when in Phi Phi. The reefs are stunning and there is a good variety of tropical fish to see. In the mainland or Phucket there are elephant and ATV rides you can take through the jungles. At Tiger Kingdom in Phucket you can play with baby tigers or cuddle with full grown “big” (more like HUGE) tigers. This was truly a unique and once-in-a-life-time experience. There are also bird and monkey shows you can attend which is fun for all ages. No matter want you out of your vacation Thailand can provide it. Whether it be a relaxing vacation by a beautiful beach or a wild one with lots clubbing and nightlife Thailand has it. The beaches are marvelous, the food is delicious, there are so many different things to do and see and the nightlife is crazy. Thailand has it all. This entry was posted in Adventures & excursions. Bookmark the permalink.